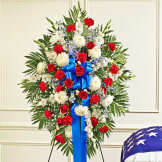 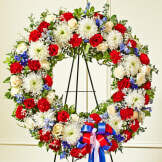 This Sympathy Standing Spray, in red, white and blue, is a beautiful reflection of your patriotism, sympathy and support. 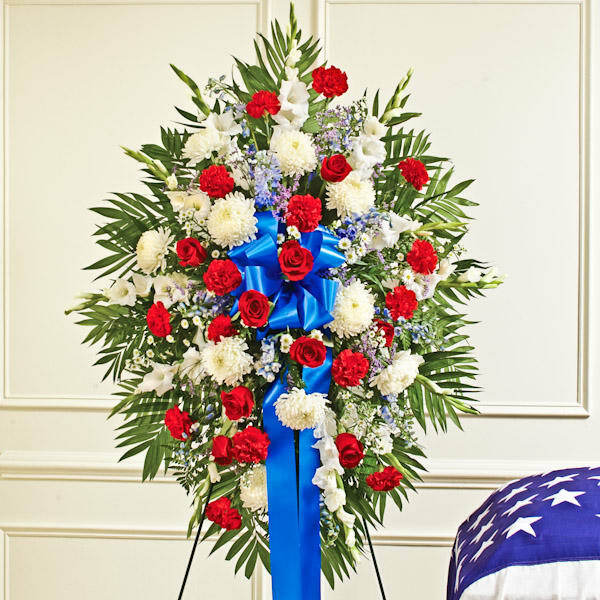 Flowers will be received by a Martin Oak Ridge Funeral Home's staff. 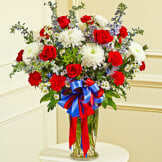 All of our flowers are designed and delivered by hand from a local florist in in Oak Ridge.